There’s nothing like entertaining during the holiday season. You pull out all the stops to make every dish warm and inviting. The menu is planned, the pantry is stocked, and the stockings are hung by the chimney with care. Everything is ready – except the table. Make it personal. Give your guests a fun favor by creating place-card holders out of gifts like potted plants or small, gift-wrapped, scented candles. Think outside the platter. Use piles of books to create a more dynamic buffet line. Stack books at different heights and cover them with a tablecloth. Place each dish on a different pile to add interest and drama to your dinner party. Mix old and new. Pair your favorite vintage holiday decorations with modern serving dishes. It adds a personal touch and creates a style all your own. Add a touch of nature. What says “holidays” more than berries and holly? Place a few of these or some trimmings of evergreen plants from your own yard. Bring out the candles. An eclectic collection of votives or pillar candles add a touch of elegance but avoid scented candles as they may distract from the flavors of the meal. Play with color. 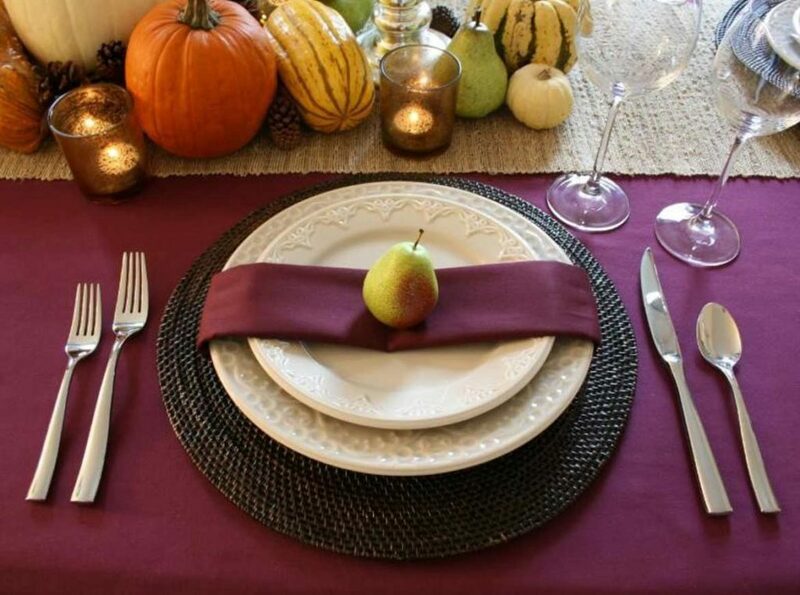 Bring some color to the table with cloth napkins. Putting two napkins of different colors or patterns in one napkin ring gives each setting a colorful pop. Pink peppercorns and herbs are also great for layering on serving dishes. Grab the glitz. Using a food-safe paint, decorate the edges of your white dishes with simple patterns and let it set in the oven. That and a sparkly napkin ring will go a long way in bringing some shimmer to your table. 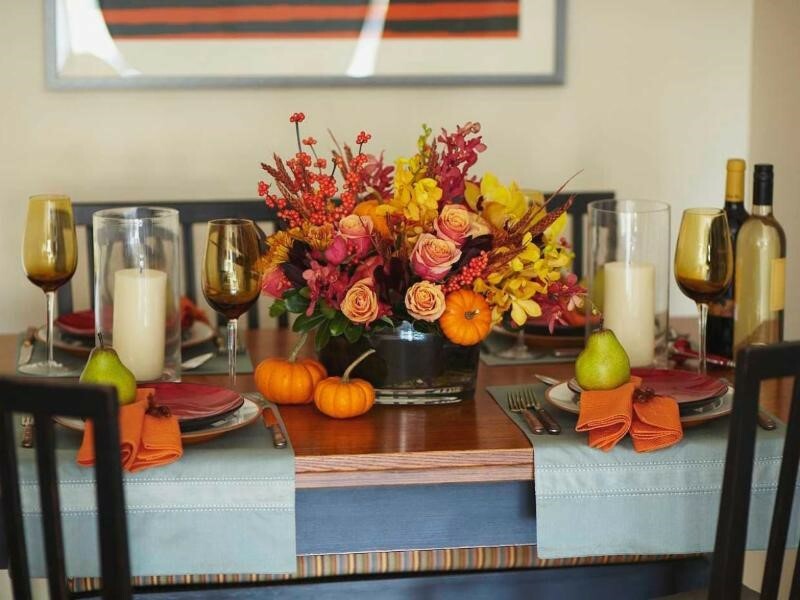 Everything revolves around the big feast – from the first impression upon entering the dining room to the small details like personalized place settings. We can help you make that first impression a lasting one. How can we help with your holiday decorating? Give me a call this holiday season!